WARNING – MAJOR NOSTALGIA AHEAD!! Adulting is hard,isn’t? Well we can’t bring back those good old days but we thought a trip down to memory lane won’t hurt either. So all our dear 90’s (Adults),sit back and ponder as we take you to a Bolly tour! Here’s presenting all those lovely movies that will be celebrating their silver jubilee this year! Who knew that this movie will set the benchmark for every epic romance to follow! Ek Ladki Ko Dekha Toh Aisa Laga plays in the background. 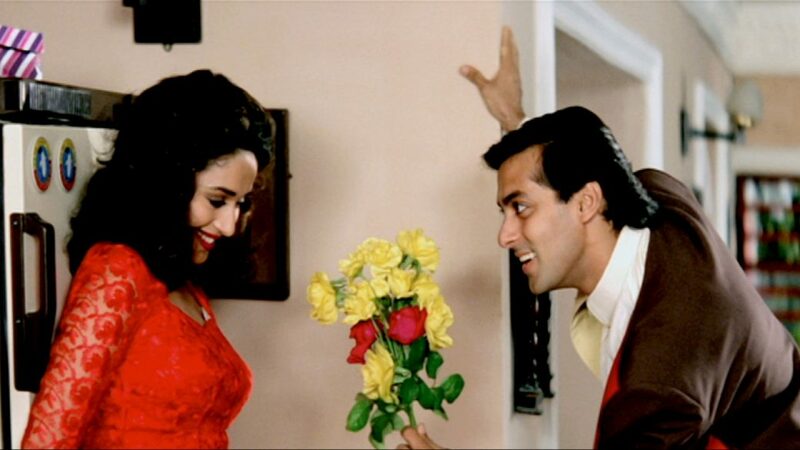 How can we write about some epic Bollywood movies without mentioning one starring the King of Romance! All hail the Nawab -Saif Ali Khan and of course the Action Kumar! This was a beginning of an era for the trio- Akshay Kumar,Paresh Rawal, and Sunil Shetty. We hope Y’all are sorted for the weekends to come and know exactly what to binge watch! Running Late? This Place Serves Lunch Within 10 Minutes Of Ordering!